Your run-of-the-mill tasting room ad typically does little to advance the brand. Most times, it’s just a glass-and-bottle shot with locations and hours and such. 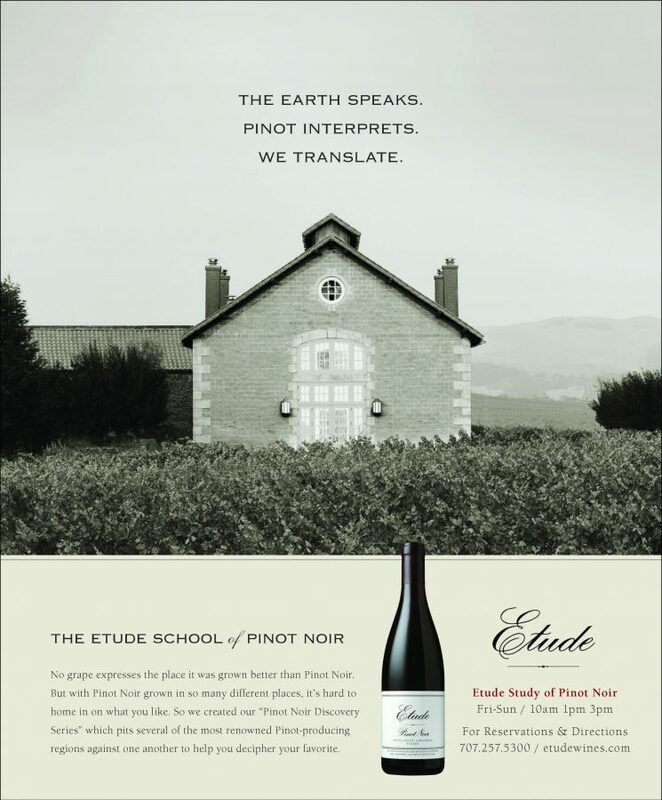 Here, we had the opportunity to do much more, especially given Etude’s expertise with Pinot Noir. Pinot Noir enthusiasts – the target for this campaign – have a higher Wine IQ than your average drinker and actively seek to expand their knowledge. So we packaged the tasting room offering as a “Study” by the Etude School of Pinot Noir. It’s isn’t really a school, of course, but to our eye, the tasting room could pass for an Ivy League institution. the only prerequisite is thirst. The Etude School of Pinot Noir. is the toughest one to crack.